What is a blepharoplasty (eyelid surgery)? 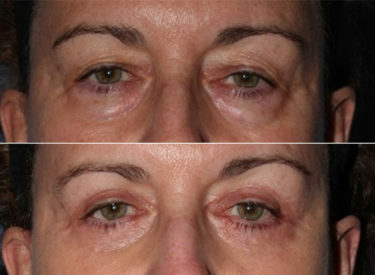 A blepharoplasty, also known as eyelid surgery, improves the appearance of the upper eyelids, lower eyelids, or both. It gives a rejuvenated appearance to the surrounding area of your eyes, making you look more rested and alert. A blepharoplasty procedure is performed on adult men and women who have healthy facial tissue and have realistic goals for improvement of the upper and/or lower eyelids. An upper blepharoplasty can remove excess fatty deposits and remove loose or sagging skin that creates folds or disturbs the upper eyelid. The lower blepharoplasty procedure can remove excess skin, excess fatty deposits, fine lines and bags under the eye. What is involved at a consultation for blepharoplasty? When you come in for your initial consultation, you will meet with both Dr. Maloney and one of our experienced patient coordinators. Dr. Maloney will examine you to determine if you are a good candidate for the procedure. He will discuss details of the operation, show you before and after photos and answer any questions you may have. Our patient coordinator will then review surgical fees, financing options and answer additional questions. If you choose to have surgery with us, you will return for another consultation about three weeks prior to your operation. At this appointment Dr. Maloney will review the surgical plan with you in greater detail and you will both sign the surgical consent forms. An experienced member of our team will take your pre-operative photographs, give you your prescriptions and will review all of your surgical instructions. You will be given our afterhours contact information including Dr. Maloney’s personal cell phone number. When you leave this pre-operative appointment you will be fully prepared for your procedure. How do I prepare for a blepharoplasty? 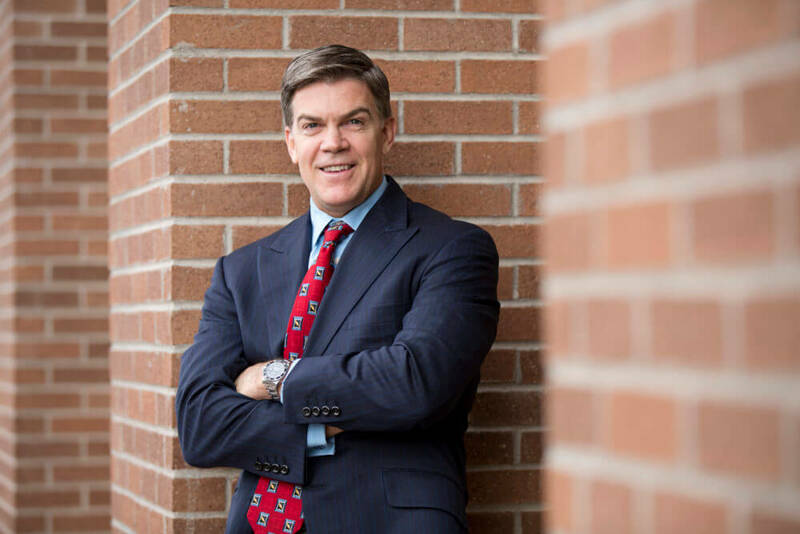 Once you have met with Dr. Maloney and have chosen a surgical date for your blepharoplasty, you should plan for your care and recovery after the procedure. You will need to arrange a ride to and from the procedure as well as arrange for someone to stay with you for the few hours once you arrive at home. You should take five days to three weeks off or work for this operation depending on the type of work you perform. Please speak to one of our clinical coordinators for more specific information regarding your particular job description. If paperwork is required by your employer for time off, please obtain it ahead of time and bring it to our office for us to be completed prior to your procedure. If you smoke, you must quit a minimum of three weeks before surgery. We suggest six to eight weeks, but two weeks is the minimum. Smokers heal more slowly and can have wound healing problems. If you take aspirin or another medication that causes bleeding, you should stop taking it three weeks before surgery. These medications cause increased bleeding which causes more bruising and a longer recovery. All medications, herbs, vitamins and dietary supplements you are taking should be carefully reviewed with Dr. Maloney or our team prior to surgery. At your pre-operative consultation with Dr. Maloney you will be given pre and post-operative instructions and your prescriptions. Please get these prescriptions before surgery so they are at home when you get home from your procedure. Bags of frozen peas or corn work well as icepacks after your procedure. You should sleep with you head elevated for the first few days to keep swelling and bruising to a minimum. You should begin a stool softener because narcotic pain medication can make you constipated. The day of the procedure you will take your prescribed pain medication one hour before your operation. Do not put any lotions or make-up on the day of surgery. Do not wear any jewelry to the office. You should wear comfortable clothes that are easy to get on and off. A shirt that zips or buttons up the front is preferable, as are loose workout type pants or sweat pants. The operation takes about one to three hours depending on if Dr. Maloney is operating on the upper eyelids, lower eyelids or both. Dr. Maloney will inject a numbing medication for your comfort and then begin to make his incisions. Typically the upper eyelids are completed before the lowers if both are being done at the same time. The excess fat pads and the extra skin are removed with precision. The incisions are closed with a suture that should come out in about five to seven days. Steri-strips are placed on the ends of the sutures to hold them in place. Once your procedure is complete, you should be ready to go home within 30 minutes. What should I expect after a blepharoplasty? Once your procedure is complete, you will leave the office with steri-strips on the corners of your eyes which are holding the suture in place. Do not remove these steri-strips. You may ooze a small amount of fluid from the incisions which is normal. You should rest and eat a healthy diet high in protein for healing. You should avoid alcohol and refrain from smoking during your recovery. Frequent ambulation after surgery is advised to reduce the risk of blood clot formation in the legs and to speed up your recovery. Your eyes will be swollen, bruised and puffy after surgery. It takes about three weeks to see your results, so be patient during the recovery process. Sleep with you head elevated and keep cool compressed on your eyes for the first few days to minimize swelling and bruising. You may shower the day after surgery. You will return to the office for your first post-operative exam one to three days after surgery. The sutures are removed at five to seven days. If you have any questions during the recovery phase, please do not hesitate to call the office any time, day or night. After a blepharoplasty procedure, your eyelids will have a more youthful and rested appearance because the excess skin and puffy circles will be gone. Blepharoplasty has both aesthetic and health risks, and it is your personal decision whether the benefits outweigh those risks. More commonly seen risks include scaring, bleeding, infection, asymmetry, ectropion, or dry eyes. There are also more uncommon, but more complicated risks such as deep vein thrombosis. For a full list of risks, go to www.plasticsurgery.org.